I really enjoyed this book. The story follows Mel as she reconnects with an old university friend and offers to let her stay because she's needs some support after a messy divorce. 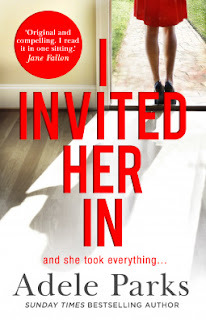 As the story progresses you know there's something not quite right with Abi's story and she proceeds to turn Mel's life upside down and betrays her in an unforgivable way which she wouldn't have been able to do if Abi hadn't opened her home to her. It was a gripping read which I couldn't predict where it was going from chapter to chapter. Highly recommended.